Periodontal (gum) disease is an infection of the tissues that hold your teeth in place. It is typically caused by poor brushing and flossing habits that lead to plaque buildup on the surface of the tooth near the gum line. 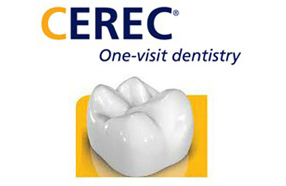 This plaque hardens over time to form tartar which gradually erodes the tooth enamel. Periodontal disease is most common among adults aged 30-40 years – approximately 80% of adults in the United States have some form of gum disease. 1. Gingivitis – mild gum disease only affecting the gum tissue. It causes red swollen tissue that bleeds easily when teeth are brushed. In many cases gingivitis doesn’t cause pain, and many people fail to get the treatment they need. 2. Periodontitis – this is more serious and advanced stage of periodontal disease, and spreads below the gums to damage the tissue and bone that supports the teeth. Periodontitis causes the gums to pull away from the teeth creating pockets that collect bacteria which attack the stabilizing tissue and bone around teeth. Teeth will often become loose and need to be pulled out by a dentist. Our mouths are full of bacteria. This bacteria combines with saliva and food particles to form a clear acidic substance called “plaque” that sticks to teeth. Without proper brushing and flossing, over time this plaque hardens to form “tartar” – this substance cannot be removed by brushing or flossing. 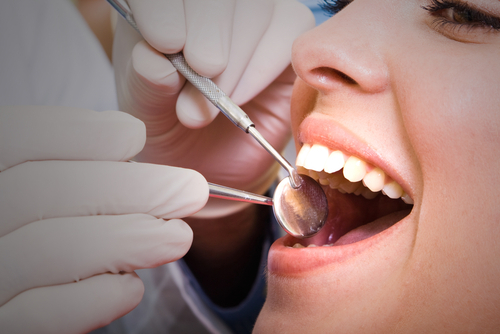 The only way to remove tartar is to have it removed by a dentist or hygienist (teeth cleaning). The treatment for periodontal disease will depend on the severity of the case. Scaling and Root Planing: the dentist will scale (scrape) the tartar from above and below the gum line. Root planing removes tough spots on the tooth root where bacteria accumulates. Medications: can be used to control the infection. Flap Surgery: dentists may elect this procedure is root planing and medications prove ineffective. In this case, your dentist will peel back the gums to remove the hidden tartar. The gums are then sutured back in place again so that they fit snugly around the teeth. Bone and Tissue Grafts: in severe cases your dentist may choose this procedure in order to regenerate lost bone or tissue caused by the periodontitis. Bone grafts involve the dentist placing natural or synthetic bone is the area of bone loss to promote regrowth. In cases where gum tissue has been lost, your dentist may suggest a soft tissue graft where they take gum tissue from another area of your mouth and place it over the exposed tooth roots. Smoking: one of the leading causes of gum disease. Poor brushing and flossing habits: causes plaque buildup, and eventual tartar deposits to form. Diabetes: people with diabetes are more at risk of infections. Medications: some over the counter medications reduce saliva production, which has elements in it that fight bacteria. Without saliva, your mouth is more prone to infections such as gum disease. Some medications also caused gum overgrowth with makes it harder to remove plaque, and easier for bacterial deposits to form. Poor diet: foods high in sugar and carbohydrates generate more plaque on the tooth surface. If you are experiencing any of the symptoms listed above, or are due for a professional teeth cleaning, schedule an appointment online, or give one of our dental hygienists a call today!